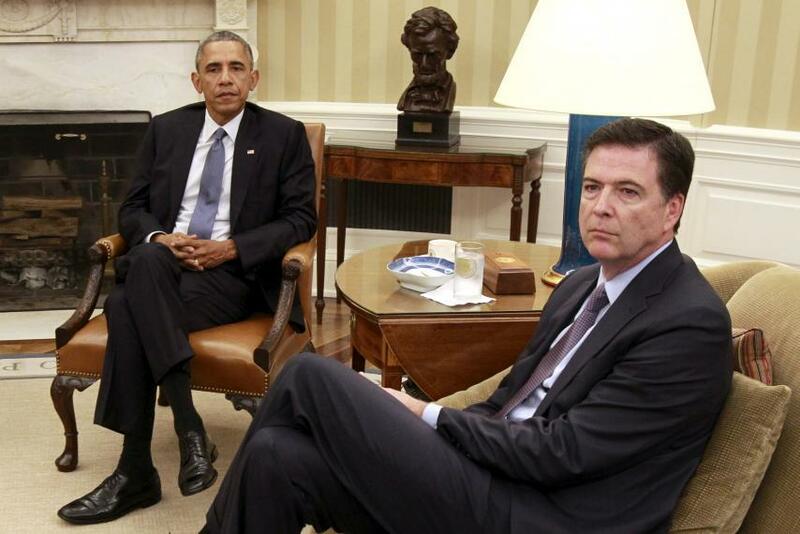 Declassified: Comey Had Secret Russia Meeting With Obama Amid "Unmaskings"
An odd email sent moments after the inauguration by former National Security Advisor Susan Rice, apparently to herself, describes a January 5, 2017 meeting between members of the U.S. intelligence community and President Obama, while Rice and the Obama were knee deep in "unmasking" the Trump team. We also know from recently released text messages between anti-Trump FBI agents Peter Strzok and Lisa Page that "potus wants to know everything we're doing." In her email, Rice very deliberately notes that President Obama "stressed his continued commitment to ensuring that every aspect of this issue is handled by the Intelligence and law enforcement communities "by the book". and that Obama "stressed that he is not asking about, initiating or instructing anything from a law enforcement perspective." Rice's "CYA" email to herself is so bizarre in light of the fact that we now know the Trump-Russia investigation was anything but "by the book," that Senate Judiciary Chairman Chuck Grassley (R-IA) fired off a letter asking her just what in tarnation she knows. In addition to Deputy Attorney General Sally Yates, VP Joe Biden, Obama and Rice, the fifth participant in the Jan 5, 2017 meeting was none other than former FBI Director James Brien Comey Jr., also known as "Boyscoutish" Jim. What's notable about Comey's attendance in the meeting is that it appears he misled Congress about his contact with President Obama. Comey's prepared statement to congress deliberately omits the January 5 meeting, and qualifies his meetings with Obama as "alone." In other words, since the Jan 5 meeting wasn't "alone," Comey didn't include it - thus, it appears he deliberately mislead Congress about his communications with President Obama. So while the former FBI Director painted a picture of minimal communication between the FBI, DOJ, and the Obama Administration in his briefing to Congress - we now know that they were in virtual lockstep over their efforts to surveil Donald Trump as a candidate, an incoming President, and a sitting President. We also learned in the last week that President Obama was far more "hands on" the FBI investigation than he previously admitted - as revealed in a batch of text messages between anti-Trump FBI agents Peter Strzok and Lisa Page, in which Page tells Strzok "potus wants to know everything we're doing." Page wrote to Strzok on Sept. 2, 2016, about prepping Comey because “potus wants to know everything we’re doing.” According to a newly released Senate report, this text raises questions about Obama’s personal involvement in the Clinton email investigation. Given this, was the January 5th meeting a huddle to discuss both the FBI's efforts and the unmasking taking place on Susan Rice's request? Two days after the bombshell report, Rice appeared on MSNBC, where she said: “There was no such collection or surveillance on Trump Tower or Trump individuals, it is important to understand, directed by the White House or targeted at Trump individuals,” Rice said. 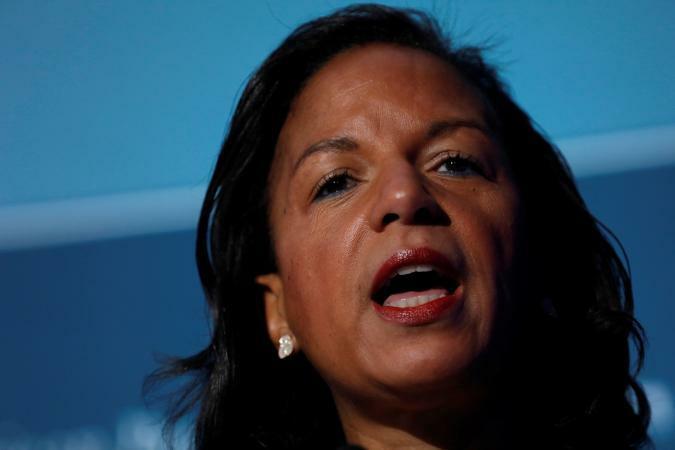 “The allegation is that somehow, Obama administration officials utilized intelligence for political purposes,” Rice told Mitchell. “That’s absolutely false.... My job is to protect the American people and the security of our country. " Rice's eventual explanation for the unmasking is that the White House wanted to understand why senior Trump officials held a 2016 meeting with the crown prince of the United Arab Emirates. Rice's unmasking campaign was ostensibly based on the FISA warrant obtained using an unverified dossier and a supporting Yahoo News article using information provided by former UK spy Christopher Steele who assembled the document. Not very "by the book" now, is it? When did you become aware of any surveillance activities, including FISA applications, undertaken by the FBI in conducting that investigation? At the time you wrote this email to yourself, were you aware of either the October 2016 FISA application for surveillance of Carter Page or the January 2017 renewal? During the meeting, did Mr. Comey or Ms. Yates mention potential press coverage of the Steele dossier? If so, what did they say? During the meeting, did Mr. Comey describe the status of the FBI’s relationship with Mr. Steele, or the basis for that status? When and how did you first become aware that the Clinton Campaign and the Democratic National Committee funded Mr. Steele’s efforts? We look forward to Rice's response on this odd letter. Perhaps she and Comey will be asked to come back to The Hill and explain exactly what in the hell they were up to on January 5th, and why Rice sent herself that bizarre and transparent email.